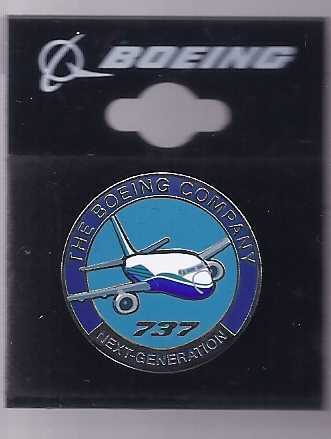 This is a highly collectible Pin designed for THE BOEING COMPANY 737 Next Generation. Metal. In original packaging. Single pinback Send email for more details. Shipping is free within the USA CANADA. While other international shipping rates apply. Please enjoy browsing the store for a lot more Airplane memorabilias! Thank you for stopping by.